The federal minimum wage hasn’t increased in nearly 10 years. The last time Congress lifted the legal pay rate came in 2009 when it went from from $5.15/hour to $7.25/hour. Republican control of at least one house of Congress since then has stood in the way of further hikes. Though a number of states have gone ahead and raised minimum wages above the federal minimum, many companies have gone even further, paying well above the legal minimum due to a tightening labor market as unemployment rates have fallen near all-time lows. Throughout much of its history, Walmart’s (NYSE: WMT) pay started at the minimum wage. Founder Sam Walton believed in low prices above all else, and, consequently, the company needed to keep wages low in order to offer customers the lowest price. However, that all changed in 2015. With the rise of e-commerce and the threat of Amazon (Nasdaq: AMZN) spiking Walmart’s growth, CEO Doug McMillon said the company would lift its wage minimum to $9/hour that year, and then $10/hour the following year, significantly above the $7.25/hour wage in many of the states that Walmart operated. With 1.5 million employees in the U.S., Walmart is the nation’s biggest private employer, and the move prompted many retailers and restaurants to follow suit. In 2018, Walmart again raised its minimum wage, this time to $11/hour, following the passage of the Tax Cuts and Jobs Act that lowered the federal corporate tax rate from 35% to 21%. While Amazon may not be a chain in the traditional sense, there’s no question that the company competes directly with retailers for both customers and employees as it relies on hundreds of thousands of workers to pick and pack orders at its vast network of warehouses. 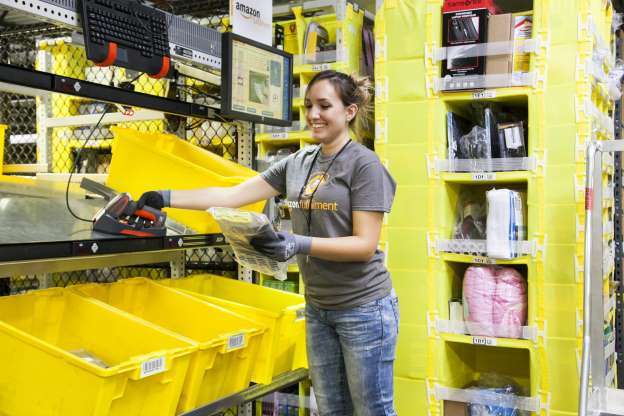 Like other big retailers including Walmart, Amazon came under pressure for its treatment of its warehouse workers. Reports of triple-digit temperatures inside its facilities, workers unable to take bathroom breaks, and low wages attracted attention from critics including Sen. Bernie Sanders. After years of resisting calls to raise its wages, Amazon responded to Sanders and others by saying last October that it would raise its minimum wage to $15/hour, which included workers at Whole Foods. As Amazon has done in other instances, such as collecting sales taxes, the company reversed its position when it found it politically useful to do so. Costco Wholesale (Nasdaq: COST), the warehouse retail giant, has historically been one of the best-paying retailers in the U.S. Unlike Walmart’s historical strategy of paying low wages, Costco has chosen instead to pay higher wages to attract a better workforce and keep turnover down. Due to its warehouse model, the company also needs fewer workers than a traditional retailer like Walmart does. In its most recent earnings call, Costco said it would lift its base hourly wage from $14/hour to $15/ hour, which follows a wage hike last June from $13/hour to $14/hour, though it was unclear when the current wage hike goes into effect. With competitors like Amazon raising wages and state minimums rising in several of the states in which it operates, Costco seems to feel pressured to maintain its reputation as one of the best-paying retailers in the country. Since Target’s (NYSE: TGT) closest competitors are some of the companies already mentioned, it shouldn’t be surprising to find the big-box chain on this list with its peers. Last March, Target said it would raise minimum wages for new hires to $12/hour as its next step in its plan to lift the company’s base wage to $15/hour by the end of 2020. That decision followed a wage hike to $11/hour the previous year, and in 2015 and 2016, Target followed Walmart in raising its starting wages to first $9/hour and then $10/hour. As the company adds new small-footprint stores in places like major cities, paying competitive wages will be key to attracting the right talent pool. Unlike the retailers above, Shake Shack (NYSE: SHAK) doesn’t have one standard minimum wage it pays across the country. The company offers different minimum wages in each market, but it has consistently made efforts to pay higher wages than competing restaurant chains, and pays better than the local minimum wage in all of its markets. Back in 2015, the company was paying a minimum wage of $11/hour at its Texas locations even though that state’s minimum wage was just $7.25/hour. In Washington, D.C., the minimum wage it paid the was $12/hour, compared to the district minimum wage of $10.50/hour. Since then, minimum wages have risen quickly in many of its key markets like New York, California, and Washington, D.C., which helped push labor costs up to 27.4% last year, but the company has retained its commitment to pay its workers well. 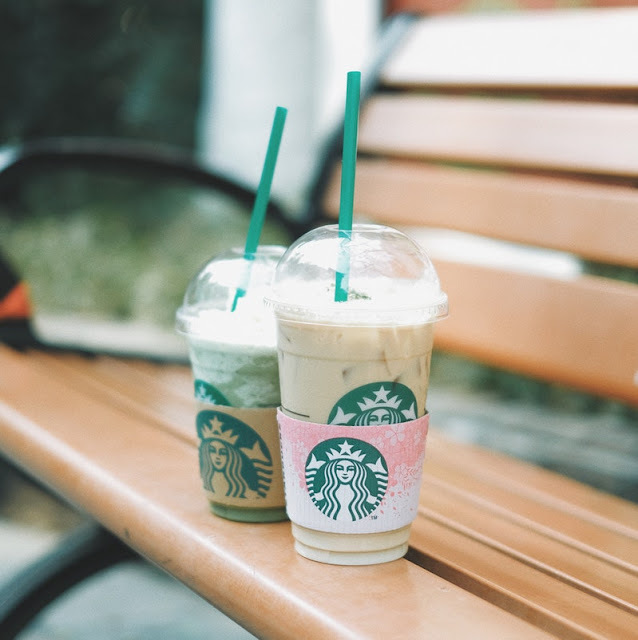 The global coffee chain has long tried to separate itself from the pack with its treatment of employees, offering things like health insurance benefits, college tuition, and Starbucks (Nasdaq: SBUX) stock for its baristas. Like Shake Shack, Starbucks doesn’t have a blanket starting minimum wage across the country as the company operates in many different types of markets. However, the coffee giant has made efforts to keep is base wage above federal and state minimums. In fact last January, Starbucks announced its second wage hike of the year, which came following the Tax Cuts and Jobs Act, and said it pays above the minimum wage in all states across the country. At the same time, Starbucks said it would invest $250 million in higher wages and benefits, a sign of its commitment to offering better-than-average wages. With thousands of stores across the country under brands including Banana Republic, Old Navy, and its namesake, Gap (NYSE: GPS) is one of the biggest apparel brands in the country. In 2014, it said it would raise its minimum wage to $9/hour later that year and to $10/hour in 2015. Gap doesn’t seem to have raised its minimum wage companywide since then as it’s struggled in recent years and even said it would spin off the better-performing Old Navy chain. The move seemed to deliver the desired effect as the company said job applications jumped, and that may have prompted other retailers to follow its move. Like other off-price chains, Ross Stores (Nasdaq: ROST), also known as Ross Dress for Less, has outperformed the broader retail sector as the off-price model has proven to be relatively well-protected from the threat of e-commerce. However, like other retailers, Ross has been pressured by the tightening labor market into raising its wages. Last year, Ross said it would raise its hourly rate to $11/hour and issued lower-than-expected guidance as a result, sending the stock lower. Ross’s decision was at odds with rival TJX Companies (NYSE: TJX), the parent of TJ Maxx, which said it would raise wages strategically in select markets, rather than across the board. With its high-end brand, Lululemon Athletica (Nasdaq: LULU) has a reputation for paying better than most retailers as the company hires and cultivates front-line “educators” by offering reimbursements for yoga and exercise classes. Lululemon has never announced a companywide minimum wage hike and seems to pay different wages in different markets, but the company has put pressure on other apparel retailers, which may be the reason that Gap raised its wages in 2014 as Lululemon then paid $11/hour, according to Racked. According to Glassdoor, salaries for Lululemon educators now range from $12 to $17 and average $14. CVS Health (NYSE: CVS) is not a traditional retailer as it makes the majority of its revenue from its pharmacy division, not to mention its recent acquisition of Aetna. However, the company still competes directly with retailers for front-line employees like cashiers and stockers as it sells many of the same products you would find in your local convenience store. Like other companies, CVS raised wages after the corporate tax cut was passed in 2017, saying last February that it would lift its hourly rate to $11/hour. CVS said the move would cost it $425 million, but the tax cut would bring in an additional $1.2 billion in cash flow.